The “Robotical Command Hub Plus” produces a WiFi hotspot which is used to host communication between Marty the Robot and your chosen Marty programming device, be that a tablet, laptop or other. It allows you to set-up Marty, use our Marty Remote Control & run Scratch without needing an internet connection. The first time you use your Marty, you will need to connect it and your chosen device (tablet, laptop…) to the “RoboticalHubPlus-2G” network. Marty can remember the last WiFi network it was connected to, so if you have already set up your Marty, there is no need to do it again. To Download the “Marty the Robot” app - using your chosen mobile device (tablet, smartphone) go to either the Apple App Store (iOS) or Google Play Store (Android) and download the “Marty the Robot” App. You will need this to easily set-up your Marty. Note that if you got an assembled Marty class pack, your robots should already by connected to the Command Hub! Simply turn on your command hub, wait for all three lights to turn on, then turn on your Martys and proceed to programming! Once you have all of the components above ready, plug the Command Hub into a power source and wait for all three white lights on the front to turn on. Using your Mobile device with the “Marty the Robot” app downloaded, connect to the “Marty Setup########” WiFi network and run the “Marty the Robot” app. If you’ve built your own robots, you will need to calibrate them too - the app will guide you through the process. Otherwise, you can safely Skip Calibration. Once your Marty is connected to the “RoboticalHubPlus-2G” network, you can go ahead and connect your programming device to the RoboticalHubPlus-2G network and begin coding! The above web page can be reached by going to http://192.168.8.1/ in a web browser, and includes links to the Command Hub’s own version of Scratch. Remember, you’ll first need to be connected to the Hub, as this page comes directly from it and not fromt he Internet. The Home Screen, Scratch and all the linked tools will work without an internet connection. It also includes a link to a PDF copy of this guide at the bottom. The Scratch 3 Beta is loaded on to this Command Hub+, and can be used to program Marty from tablets (including iPads) and even phones, as well as normal computers. The Scratch 3 beta above works with all Martys young and old, but beware it is still very much in development and will be rough around the edges - so please do let us know if there are things we can improve! We’ll be periodically updating our Marty Scratch3 extension until it is stable and running well. To get started, open up the Scratch 3 interface in a web browser (Internet Explorer is not supported). Click Try It, and then open the extension using the + button bottom left. You’ll see the Marty extension come up, alongside a couple of others. Then, just click the cross in the top right to go back to the main Scratch 3 interface. You’ll see a bunch of Marty blocks have appeared at the bottom of the list - You can now use Scratch 3 in the same way as Scratch 2! Alternatively, you can Connect Manually if the scanner can’t find your Marty, or if you already know its IP address. This is particularly useful for devices like these Command Hubs, which have a default IP range of 192.168.8.1/24 rather than the more common 192.168.0.1/24. 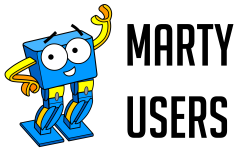 To code Marty using Scratch, connect your computer to the “RoboticalHubPlus-2G” network and open a Chrome or Firefox web browser. Type http://192.168.8.1/ into the URL bar to be taken to the Hub Homepage.  This page contains links to the Scratch interface and some demo scripts. Click on the grey box to expand out the links to demo scripts. Click on ScratchX to open the interface. Important - enable Flash and pop-ups. To run Scratch, your browser settings need to allow the Flash plug-in. If there’s a small “i” icon in the address bar, click it and make sure Flash and pop-ups are both set to “allow”. Because ScratchX needs Flash, it also will not work on Apple iOS devices such as iPads. Note: You can also use the “Marty the Robot” app to access the remote control from your mobile device.